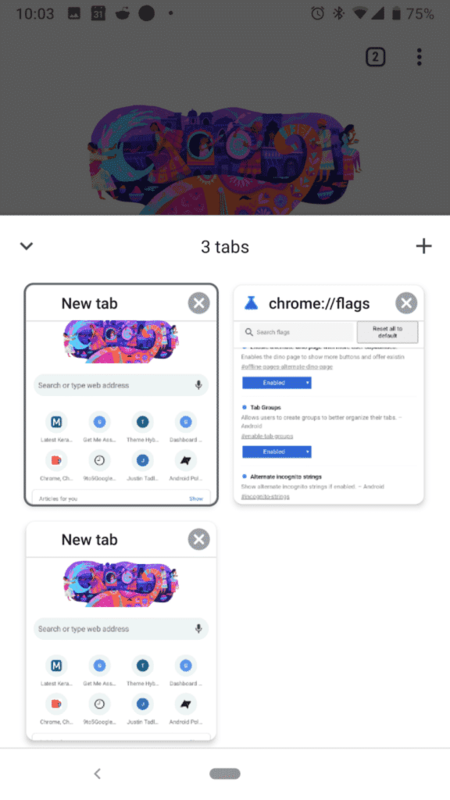 Tab Groups, a feature that is still pretty much work-in-progress in desktop versions Chrome, is coming to Android too. I did write about this last week, but today, I have more details on how this might look like. 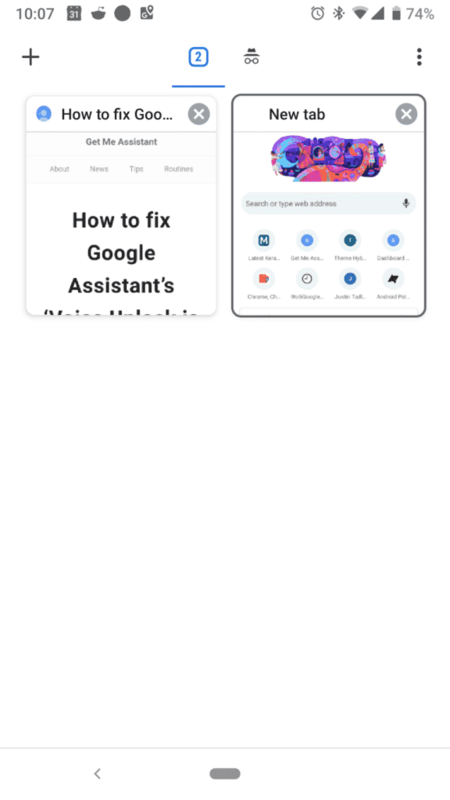 “Tab Groups: Allow users to create groups to better organize their tabs – Android”. 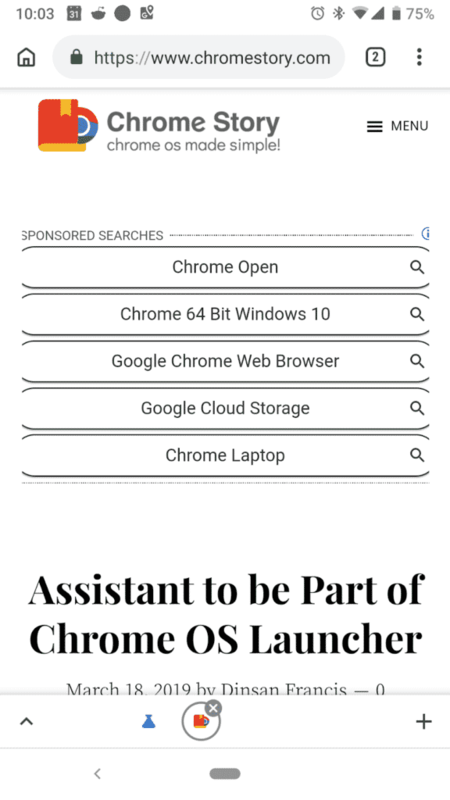 The original flag that was first added to Chrome for Windows and Mac did not have “Android” listed as a supported platform. Hence, we have a new flag separately for Android version of the tab grouping feature. This could be because the fact that the interface and the way we manage tab groups on Android will be completely different from the desktop version. I could find only one way to start tab groups. This will of course change. 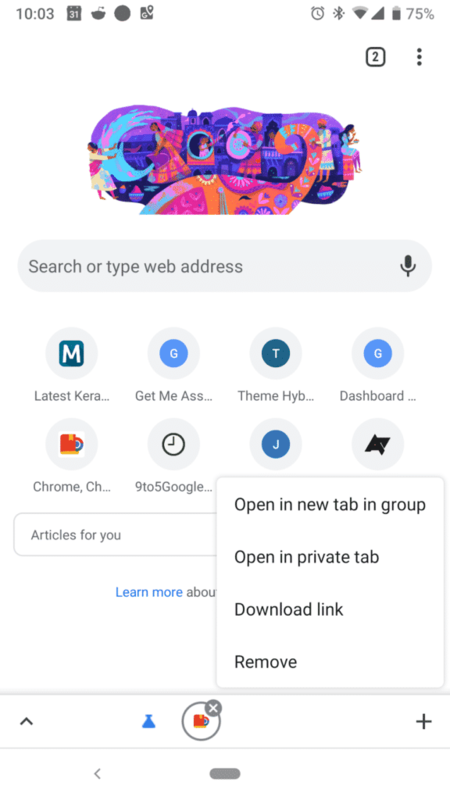 On the new tab page, if you long-press a link, you will get an Open in new tab in group option. That creates a new tab group. From there, you can add more tabs to the same group. There will be a row of icons at the bottom of each tab, showing favicons for the sites in the group. The + (plus) icon at the right-hand side can be used to add more tabs to the group. The up-arrow icon on the left-hand side of the screen lets you view tabs in from the current group. When you view open tabs, the thumbnail only shows one site from the group. As of now, I do not see any design element that will help us identify a tab group from this list. Individual sites and groups look the same. Things are, as I said, still in the very early stages of development. We will have to wait a few more weeks at least to see things taking shape. Do you like tab groups? How do you think this will help your workflow/? Let me know in comments!